I was born and raised in Waco, Texas, as my grandmother would say. 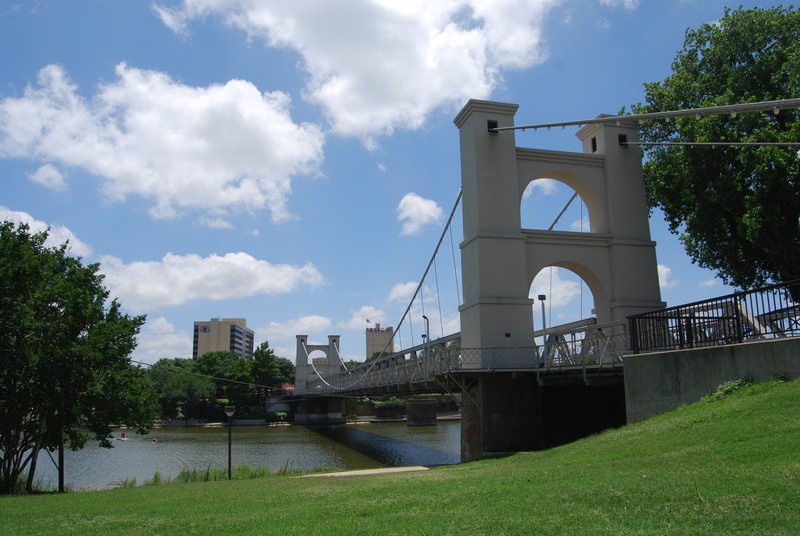 I’d love to show you around and make a few suggestions on where you might take some time to visit my hometown on the banks of the Brazos River deep in the heart of Texas. Waco sits right between Dallas and Austin along 1-35. It is a great place to stop for a visit or take more time and do some exploring and shopping. 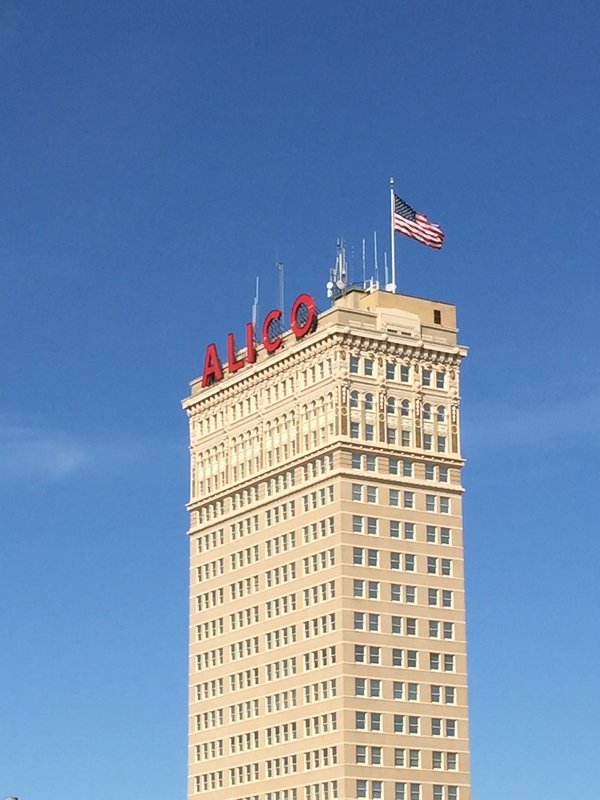 Towering above the downtown Waco skyline is the Alico Building with it’s iconic red sign perched on top. This building survived the blunt of the tornado that devastated our downtown in 1953. Every old Waco family has stories of the events of the day and mine is no different, My grandfather, along with his Texas National Guard comrades spent many days and nights protecting the shops and restaurants that were destroyed from looting. On a much happier note, several years later my mother and father met inside the Alico Building. My dad was an attorney in the building and my mother was one of the elevator operators. They said it was, ‘Love at first sight.’ As children, my sister and I would marvel at all of the pigeons that perched in the window sills high above the ground. We would love to hear your stories of the Alico! Comment below. 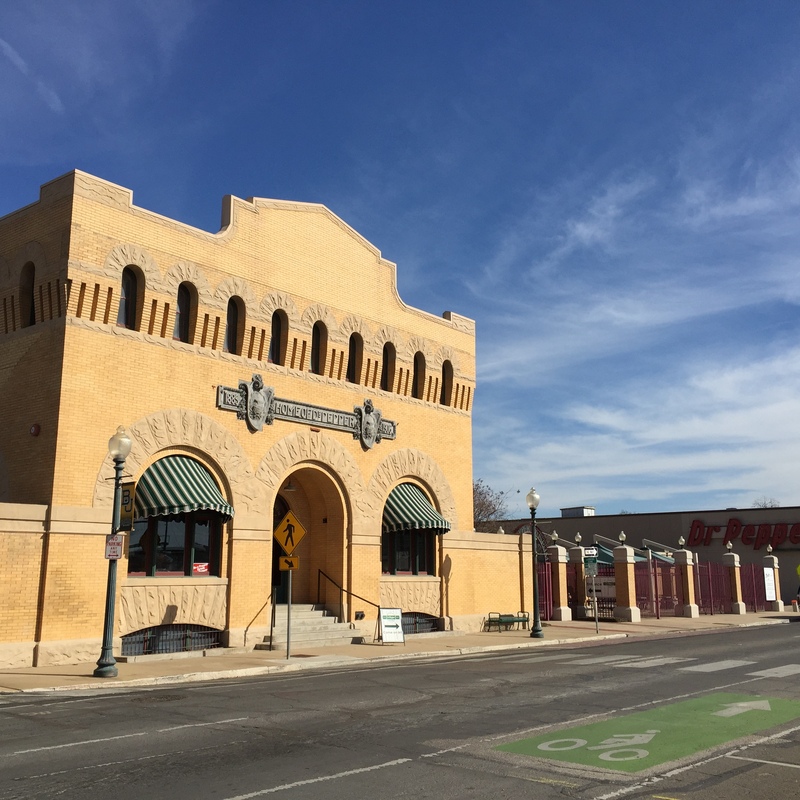 The Hippodrome Theater: Historic theater in downtown Waco that has recently been beautifully renovated. 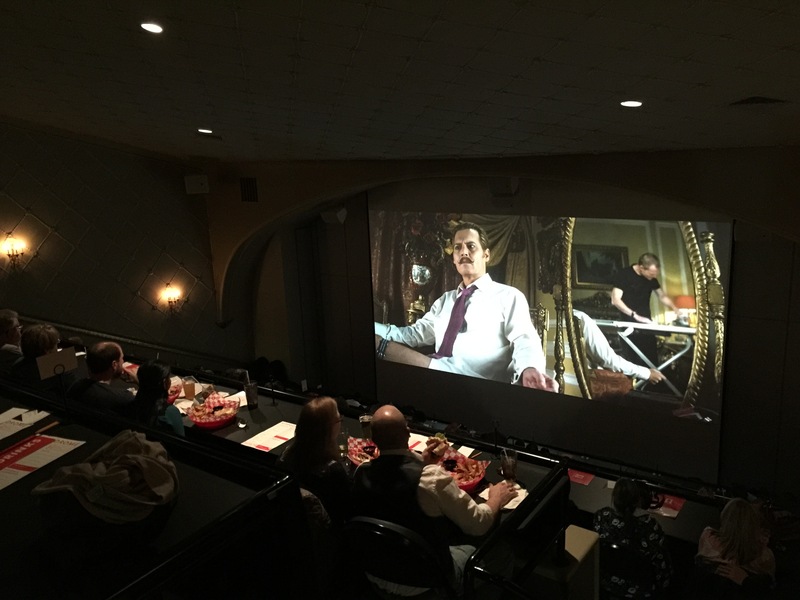 Enjoy dinner at your seat as you watch a movie for a nice evening out. Texas Ranger Hall of Fame: Learn all about the most famed law men in Texas, the Texas Rangers. Don’t miss the exhibit featuring the notorious bank robbers, Bonnie & Clyde. Bonnie broke Clyde out of the Waco jail and some say that was the beginning of her life of crime. Dr. Pepper Museum: The carbonated soda, Dr. Pepper was born right here in Waco, Texas at the old Corner Drug Store. The museum is located in the old bottling company building. Nice place to enjoy a Dr. Pepper ice cream float after learning all about our favorite fizzy beverage. Cameron Park Zoo: Our zoo in Waco just may surprise you with the animals roaming in an amazing setting as Cameron Park. Your kids will enjoy it! Cameron Park: Beautiful 416 acre park that runs along the Brazos River. It’s the place for disc golf, fishing, hiking and exploring. What is the name of the community where they live in “the old ways” and have a place to forge steel. They are self sufficient but have stores for tourists and a restaurant with their home grown foods??? I am think about moving to Texas. 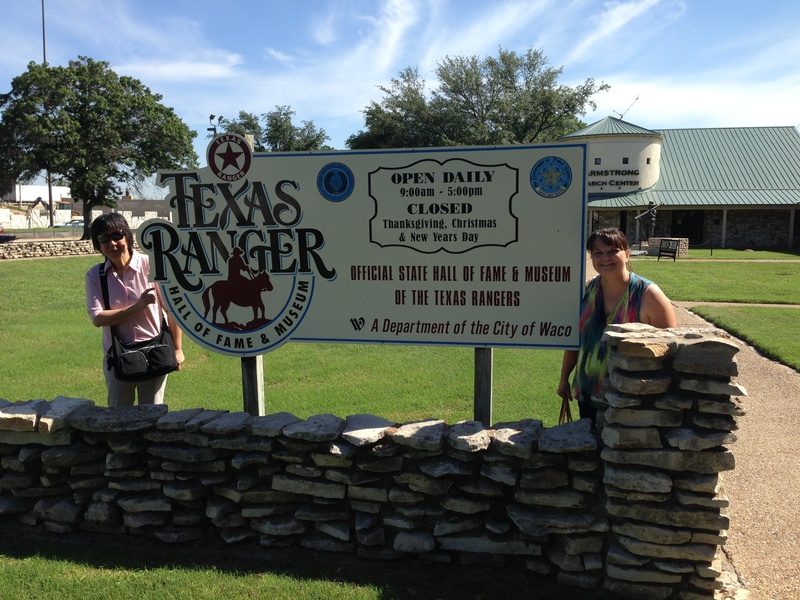 I have been looking at the various towns in Texas. I keep coming back to Waco. It looks like a great town. So it’s possible I may take the plunge and come out after the first of the year. Waco is a very nice place to live! Praying your decisions are those of God’s will.